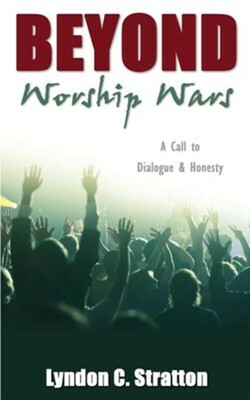 The purpose of this book is not to debate the theological, style or cultural issues of worship expressions. The primary theme is that of finding the balance in corporate worship expressions - blended worship. While there may be moments in the life of a worshipping community where risky and sweeping changes are prudent, this is not the primary context for this dialogue. When these changes are done with loving visionary leaders, a positive outcome can be achieved. This book will help leaders carefully think through how they process change in their congregation's worship expressions in such a way that worship tensions are avoided. It will also challenge leaders to take ownership of their motives and actions in dealing with worship tensions in the local congregation and to be willing to change if necessary. Ultimately, the goal is to divert or derail division in the church. Throughout this book a theme will be explored and at the conclusion of each section there are questions or thoughts for personal reflection. As you read, treat this writing as meditative. Do not simply skim familiar scripture passages; rather, read them slowly so they can speak to you in the context of this dialogue. Take time to thoughtfully and honestly consider the thoughts for reflection at the conclusion of each section. I'm the author/artist and I want to review Beyond Worship Wars.